You can try filling out the requested information first. If it doesn't work then proceed with step 4. If it automatically populates then don't check Manually configure server settings or addition server types, click Next and proceed to Step 7 Alternate ending (Didn't know it was going to have an alternate ending did you?). 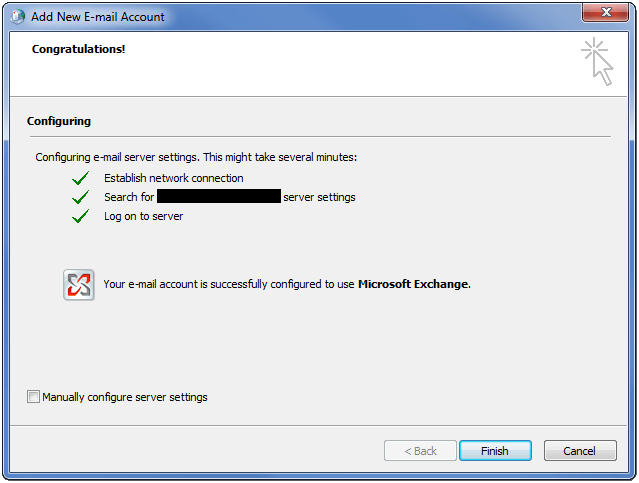 Step 3: Choose Microsoft Exchange and Next Step 4: Type in your exchange server. This can be a name or an IP address. If you're reading this and saying to yourself, "I have no idea what he's talking about," then call your administrator for this setting. If you don't have an administrator then give us a call, we'll help you out. 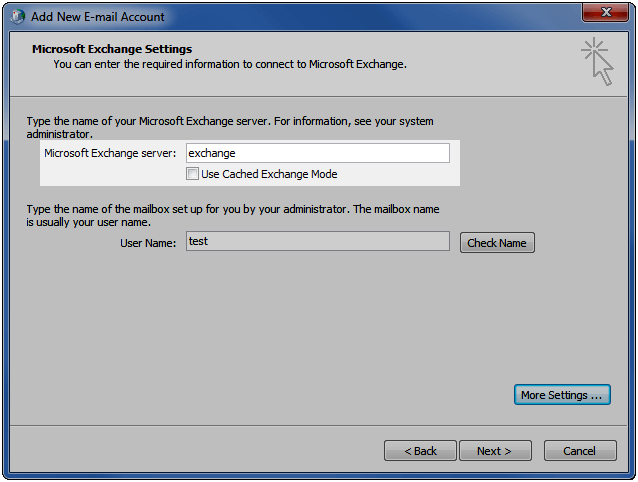 If you are a desktop on site with your server then do not check Use Cached Exchange Mode. If you are a laptop who will be leaving the office, then check it. 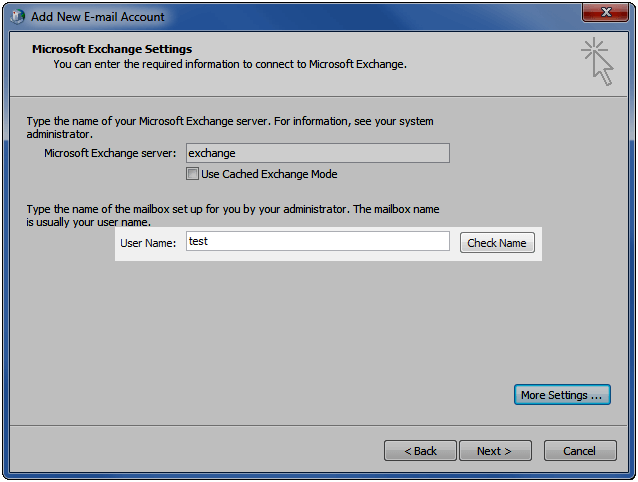 Step 5: Enter in your User Name for your exchange account (again see your administrator or give us a call). Then click on Check Name. 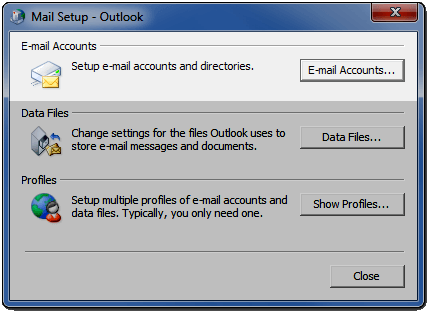 You should see your name and server auto populate or get an option of which name to choose. If you get an error then check either the server name or the user name. You don't have to put in your whole name. A first name will suffice. Step 6: After it successfully finds your name, click Next. You should get the following message. 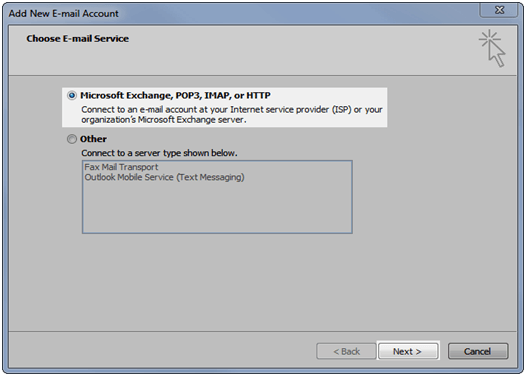 All this message says is that your default locations will now be on the exchange server. 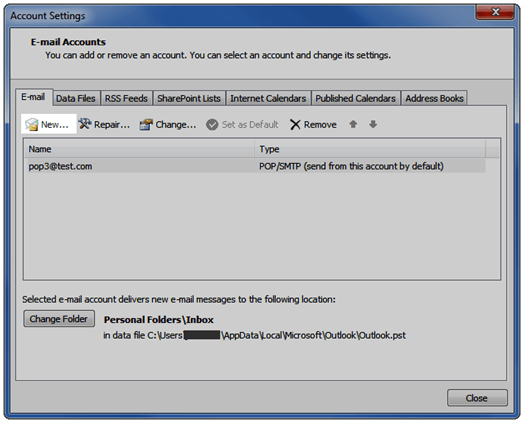 So your calendar, email, and contacts will automatically go on your exchange server. Click OK. Step 7: Congratulations! Let me know if you have any problems with this page. J Step 7 Alternate ending: Congratulations! 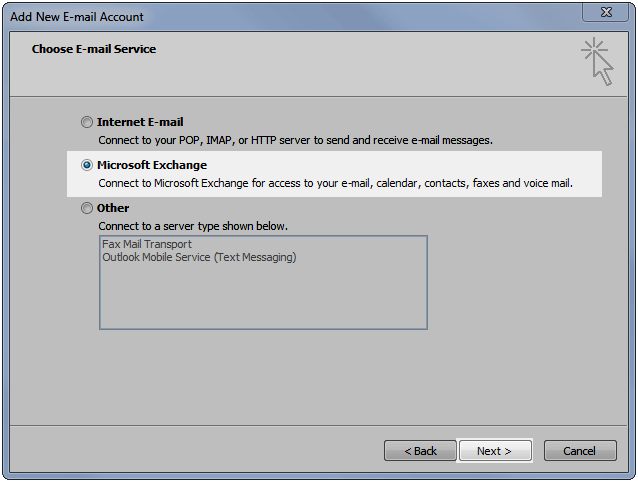 If you do not get 3 check marks then check the Manually configure server settings box and proceed with step 4.